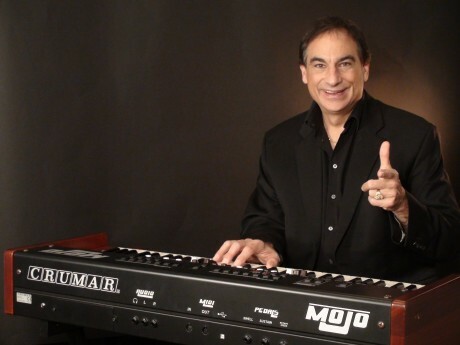 “Jazz Organ Monster” Tony Monaco, king of the Hammond B3 Organ, headlines the 2014 Fulton Jazz Fest, with cool jazz and hot nights, 5-11 p.m. on Aug. 8 and 4:30-11 p.m. Aug. 9, it was announced by the Greater Oswego-Fulton Chamber of Commerce, festival host. The event is on the shores of Lake Neatahwanta, behind the Fulton War Memorial on Route 3 and admission is free. “Jazz Organ Monster” Tony Monaco, (above) king of the Hammond B3 Organ, headlines the 2014 Fulton Jazz Fest, with cool jazz and hot nights, 5-11 p.m. on Aug. 8 and 4:30-11 p.m. Aug. 9, it was announced by the Greater Oswego-Fulton Chamber of Commerce festival host. The event is on the shores of Lake Neahtahwanta, behind the Fulton War Memorial on Route 3 and admission is free. Other groups performing include: The Longwood Jazz Project, Anthony Joseph Swingtet, FreeFall Jazz Orchestra, Atlas, and The Billionaires. 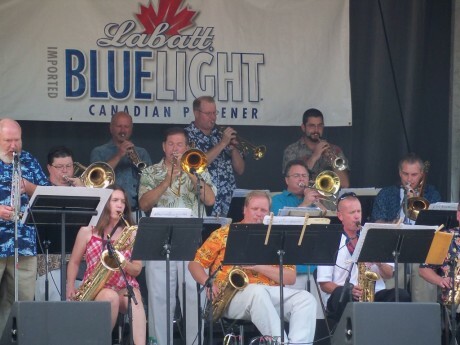 The festival kicks off this year with Happy Hour from 5-6 p.m. Aug. 8, when The Longwood Jazz Project, sponsored by Blue Moon Grill, will take the Fulton Savings Bank stage. 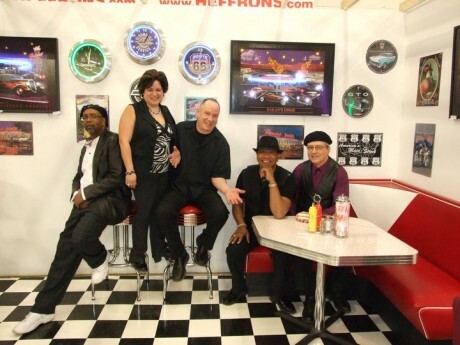 The Anthony Joseph Swingtet (above), will play from 6:30-8 p.m., Aug. 8, followed by the return of the party band Atlas, which is sure to keep the crowd dancing from 8:30-11:00 pm, said Joe Cortini, event co-chair. “The Swingtet features an array of popular tunes from the Great American Songbook and Atlas always brings high energy and an irresistible beat.” Please bring your lawn chairs or blankets, but leave your coolers and pets at home, Emmons said. 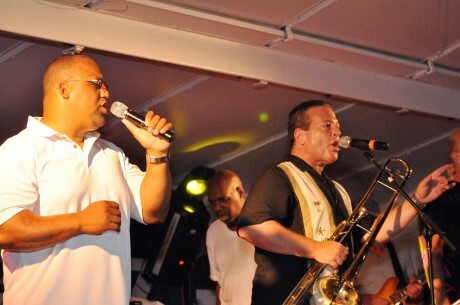 For more information, contact the Chamber at 315-343-7681 or visit our web site www.oswegofultonchamber.com/jazzfest, or find them on Facebook under “Fulton Jazz Festival”. 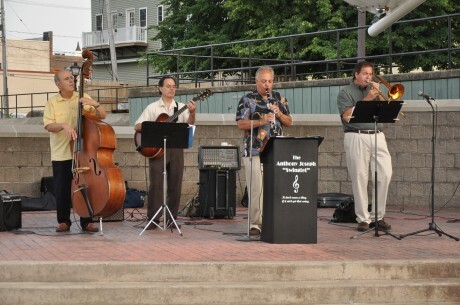 The fun continues on Aug. 9 at 4:30 with The FreeFall Jazz Orchestra gathering on the Fulton Savings Bank Stage to entertain the crowd, followed by Tony Monaco. Rounding out the evening will be a performance by The Billionaires 8:30-11 p.m. “FreeFall, which had its premier Jazz Fest performance last year, has played Oswego’s Harborfest, is composed of some of Central New York’s most talented jazz musicians, and features many original compositions by group director and keyboardist Stan Gosek,” said Bill Hubel, event co-chair. Gosek, who taught for 22 years at SUNY Oswego as director of Jazz Studies, also conducted the college’s Solid State jazz ensemble and the State Singers pop vocal ensemble. Headliner Tony Monaco brings an incredible resume,” Cortini said. According to his website ( www.b3monaco.com/): “Tony Monaco began his keyboard life at age eight, on the accordion. When he was twelve, his destiny as a jazz organist was sealed when he first heard Jimmy Smith. An enthusiastic student, Tony began working in Jazz clubs as a teenager in his native Columbus, Ohio, guided by local organ gurus Hank Marr and Don Patterson. For further inspiration, he studiously absorbed the mastery of Jimmy McGriff, Richard “Groove” Holmes, Charles Earland, Jack McDuff, and Dr. Lonnie Smith. All would play a role in the development of his musical palette. On Tony’s sixteenth birthday, his prayers were answered. He received an encouraging phone call from Jimmy Smith, who soon became his mentor/teacher. Four years later, Jimmy Smith invited Tony to come play at his club in California – a peak lifetime experience for Tony. “From 1980 to 2006, Tony stood by his family businesses and married to have three daughters, while running Monaco’s Palace Italian restaurant for ten years while performing weekly in the lounge. Tony then entered the food brokerage industry peaking towards Torchbearer status with SYSCO foods. Always inspired by music, Tony then went to work as an assistant Broadcast producer for a prominent ad agency learning his production skills and playing gigs at night to continue supporting his family. After graduating from college with a B.S.B.A. from Franklin University in 1989, Tony’s occupation changed again to supervisor of Monaco Concrete (‘My Father needed a good manager and my daughters were getting close to going to college!’). 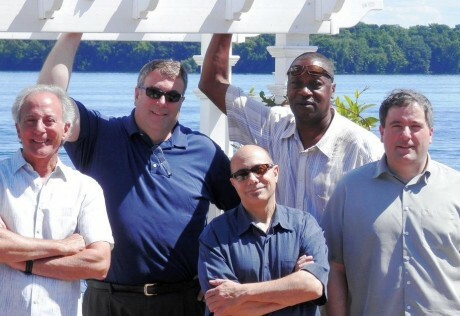 “Tony Monaco has assembled an outstanding band to play with him at Jazz Fest,” Cortini said. “Jeff Stockham, trumpet, is well-known to audiences in Central NY, but he has also backed up national artists like Tony Bennett, Aretha Franklin, Josh Groban, and Harry Connick, Jr.
“Mike Dubaniewicz, on sax, has performed in over 20 countries. He toured the world with Maynard Ferguson’s Big Bop Nouveau Band serving as featured soloist, and he has recorded with Phil Ramone, Michael Feinstein, Bobby Shew, Wayne Bergeron and Dianne Schuur. “Steve Brown will be backing Monaco on guitar. Brown has played with such musicians as Jimmy Smith, Paquito D’Rivera, Chuck Mangione, Phil Woods, and “Ray Charles. Brown was a member of Chuck Israels’ National Jazz Ensemble, and toured the United States and Europe numerous times. Gates open at 4 p.m. and admission is free, made possible through sponsorship from local businesses, including Stage Sponsor Fulton Savings Bank and Gold Sponsors Chirello Advertising, Foster Funeral Home, Inc., Oswego Health, PathFinder Bank and the Valley News, Blue Moon Grill, Upperlandings and Kathy’s Cakes & Specialty treats will be serving their gourmet specialties and beer and wine is available to purchase with valid ID at the Blue Moon Grill stand. Please bring your lawn chairs or blankets, but leave your coolers and pets at home, Hubel said. For more information, contact the chamber at 315-343-7681, visit their web site www.oswegofultonchamber.com/jazzfest, or find them on Facebook under “Fulton Jazz Festival”. This project is made possible with funds from the Decentralization Program, a re-grant program of the New York State Council on the Arts with the support of Governor Andrew Cuomo and the New York State Legislature and administered by CNY Arts.